One of the things I really enjoy about the Vancouver International Wine Festival is the ability to talk to wine makers and/or winery owners about their vineyards, their harvest, and their wines. It makes tasting the wine so much more interesting, and may spur you to travel to visit that winery, or country, or region. This year we will have many winery principals from Spain and Portugal, which are our theme countries. As well, you will be able to talk to winery principals from BC, the USA, and other countries. I invite you to read about the different winery principals visiting at the VanWineFest, and try to have a brief chat with them as they pour you a glass of their wine at the Festival Tasting Room. Enjoy! Gloria Collell was born just outside of Barcelona into a family dedicated to the wine business. After earning her degree in Enology, she quickly went to work with the team at Segura Viudas in a cross-functional role supporting winemaking, international marketing and brand development. Gloria’s passion for wine has led her to continue her studies and is on her way to becoming a Master of Wine. Meet Gloria at Cava: Spain’s Sparkling Gem; Festival Toast. 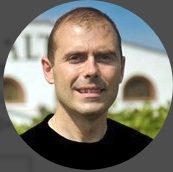 After obtaining his degree in Economics at Esade University in Barcelona, finishing the military service, and studying winemaking, Joan became 100% involved in Parés Baltà, managing the winery together with his brother Josep, and bringing young and fresh ideas to the company. In 2003, he and his brother started the Gratavinum project in Priorat, and two years later founded Dominio Romano in Ribera del Duero. Meet Joan at Cava: Spain’s Sparkling Gem; Festival Toast; Truth in Terroir; 15th Annual Awards Lunch; Spain’s Blockbusters. Born in Jumilla, Spain, Miguel Gil comes from a family of nine and is a product of the 4th generation of winemakers. In 2002, after a career in aeronautical engineering in Sevilla, he immersed himself in the wine business and pursued his father’s dream of making honest wines. Miguel is responsible for the growth and consolidation of the 11 wineries that comprise GFE. Today, 100 years after its inception, Gil Family Estate wines are enjoyed around the world. Meet Miguel at Bacchanalia Gala Dinner + Auction; Savour Spain; Storied Iberia in 9 Wines; Spain’s Blockbusters. After working in aeronautical industry, in 1990 Fernando decided to go back to his origins and join the family winery. 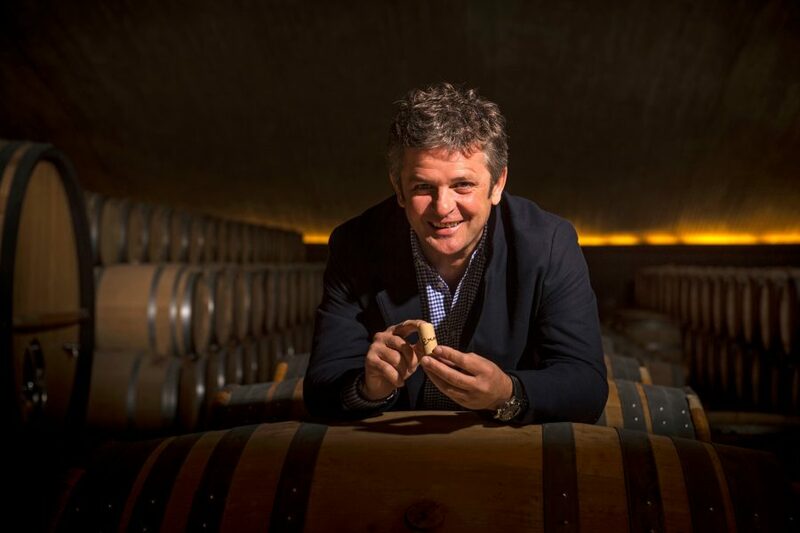 Fernando became the CEO of Bodegas Alvear in 1998, when he undertook two main projects: the launching of the Vintage Pedro Ximénez range and the foundation of a new still wine winery in Extremadura, Palacio Quemado. Meet Fernando at Shades of Sherry; Storied Iberia in 9 Wines; Dynamic Spain. Javier has worked in every aspect of wine production, from picking the grapes through the sorting and working in the winery during the actual winemaking. Since taking on management duties at Bodegas Muriel, he has been in charge of production quality control, introducing the BRC and IFS quality standards to Bodegas Muriel that were first practiced in Rioja. He then set his sights on sales and marketing, working for a time with sales agents in Muriel’s export markets before creating his own national and international sales team. Today, Javier, his father and cousin share winemaking duties. Meet Javier at Savour Spain; Rioja Renaissance; Dynamic Spain; 15th Annual Awards Lunch; Spain’s Blockbusters. The influence that Álvaro Palacios has had on Spanish winemaking can hardly be measured. Not only has he been an important point of reference for up-and-coming winemakers throughout Spain; he pioneered the two highly important regions of Priorat and Bierzo. Named Decanter’s2015 Man of the Year and the Institute of Masters of Wine’s 2016 Winemaker of the Year, there is no shortage of accolades for Álvaro Palacios. Meet Álvaro at Rioja Renaissance; Storied Iberia in 9 Wines; 15th Annual Awards Lunch; Álvaro Palacios Wine Star; Decanter World Wine Awards. Miguel studied Business and Management at the ESADE University in Barcelona and oenology at the Rovira i Virgili University, in Tarragona. In April 2001 he was appointed General Manager at the Jean Leon winery (part of the Torres Group since 1995). In 2004, he accepted the position of Marketing Director of Miguel Torres S.A., responsible for product development, communication and new launchings. In 2009, Miguel Torres Maczassek was appointed Executive President of Miguel Torres Chile. He is currently General Manager of the Torres Group. Meet Miguel at Storied Iberia in 9 Wines; Torres: History Builds Future; Dynamic Spain; Decanter World Wine Awards. David represents the sixth generation of his family to be involved in the Port business. After completing his schooling in Portugal and England, David gained hands-on experience in Australia, California and Oregon before studying œnology at Roseworthy Agricultural College in South Australia. He returned to Portugal in 1990 to join the Taylor Fladgate and Fonseca winemaking teams. Since 1991 David has played a leading role in the production of the group’s wines and in the development of its wineries and vineyards. Meet David at The Fladgate Partnership; 2015 Vintage Port: Magic! The Serrano Mira family is one of the oldest families involved in wine production in Alentejo, with clay winemaking containers dating back to 1667 preserved on its properties. The Serrano Mira brothers, Luis and Carlo, started Herdade das Servas in 1998 to perpetuate the family’s historical connection to winemaking, but also to map out and forge a new direction. Meet Luís at Storied Iberia in 9 Wines; Voyage of Discovery. A descendant of one of Portugal’s oldest wine dynasties, dating back to the 1600s, Miguel Roquette oversees export sales for Quinta do Crasto. Prior to this, he got his hands-on local wine experience in various capacities while employed with Sogrape Vinhos de Portugal in their marketing department, as well as Ferreira Port Wine. He also served as Commercial Director of Van Zeller’s & Ca. (part of Quinta do Noval). Aside from being the global “face” for Quinta do Crasto, the family’s winery, Miguel is an avid surfer and nature lover. Meet Miguel at Great Red Grapes; 2015 Vintage Port: Magic! Rupert Symington is a fourth-generation member of the Symington Family. As Joint Managing Director, Rupert has the responsibility of Sales Director for the US, Canada and Australasia, being also responsible for the group’s financial affairs and for overseeing the family’s investments in a leading Douro table winery: Prats & Symington. Meet Rupert at Graham’s Port Dinner; Storied Iberia in 9 Wines; Graham’s Tawny Port; Voyage of Discovery; Dow’s: A Legendary Producer. One of the Douro Boys, Cristiano van Zeller founded Quinta Vale D. Maria in 1996 and has grown it into a top Douro producer. Prior to that, he was the managing director of Quinta do Noval, the van Zeller family Port company, which was sold to AXA in 1993. He has also worked as Commercial Director for Quinta do Crasto and Quinta do Vallada on the teams pioneering the production of Douro red table wine. Meet Cristiano at 2015 Vintage Port: Magic! ; Voyage of Discovery. Wineries from 14 other countries are represented at VanWineFest, and the stars are shining just as brightly over the rest of the wine world. The Tasting Room is the place to meet all 173 vine stars, but you’ll also find these great personalities at special events during the week. Born and raised in Santiago, Chile, Matias Barros was very fortunate to travel and live abroad before beginning his career in marketing and advertising. His experiences landed him a job in the wine industry; and today Matias is living his dream as an ambassador of Chilean wine as the Sales Manager for Viña Undurraga. Meet Matias at Great Red Grapes; Truth in Terroir; Gusto Latinoamericano; Decanter World Wine Award. Marica Bonomo studied international law, but as a student she worked in the family winery and discovered her passion for wine. In 1999, Monte del Frà was a domestic business, but as Marica poured her energy into the business, it started to grow rapidly and is now selling in 42 countries. Marica continues to actively promote Monte del Frà’s terroir wines internationally. Meet Marica at Dine Italia. Nikki started her career as a cellar hand working in Bordeaux and southern France. She completed a Diplôme National D’Oenologue at Université Bordeaux II in 2007 before heading to South Africa to work with Waterford Estate winery. 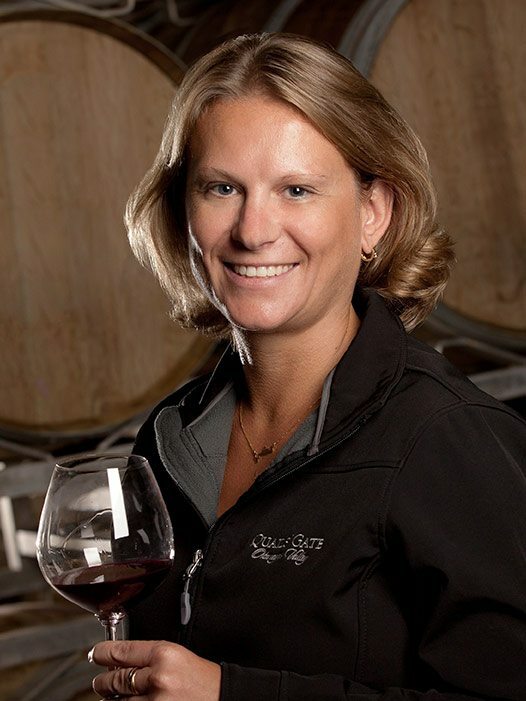 Nikki returned to Canada in 2009 to become a Winemaker at Mission Hill Family Estate. Her dream of working with a premium boutique-style winery came true when she joined the Quails’ Gate team in 2013. Meet Nikki at A Glowbal Affair; Decanter World Wine Awards. After business school studies in France and the US, Delphine de la Fouchardière worked for an American importer and distributor focusing on Bordeaux primeurs offers, then joined the marketing team of a national American importer, where she was in charge of the French and Italian portfolios. Returning to France in 2016, she joined Domaines Albert Bichot and looks after the UK, Ireland, part of Europe, Caribbean and English speaking Canadian provinces. Meet Delphine at Great Red Grapes. Bodega Garzón Export Manager, Alec Griffiths, is a native Uruguayan whose pedigree includes many years working for some of Chile’s and Argentina’s largest wine brands. Alec dared dream he would someday return home to join such an environmentally conscious, state-of-the-art winery with a laser focus on quality as does Bodega Garzón. Meet Alexander at Latin Passion for Terroir; Great Red Grapes; Gusto Latinoamericano; Decanter World Wine Awards. After graduating with a degree in Viticulture and Enology from UC Davis, Nicole worked at Robert Mondavi Winery, E. & J. Gallo Winery, then traveled to Western Australia for a harvest internship at Houghton Winery. Back in the US, Nicole took a role as a winemaker for E. & J. Gallo Winery, and is now the head winemaker at J Vineyards & Winery, where she oversees all aspects of winemaking, from managing operations to supervising the laboratory team. Meet Nicole at California Crush; Pinot Noir – California Style; PICA Kitchen Party. Eugene Mlynczyk’s love of wine began in California while studying at Stanford University in the 1980s. This interest grew after his return home to Toronto, Canada, when he began to direct a portion of his modest earnings to local Niagara wines. Inspired by the maxim ‘Carpe Diem’, Eugene started studying wine in earnest and launched a new career in the wine trade more than 15 years ago. Meet Eugene at PICA Kitchen Party. Antonio began his career as a producer of wine in 1988 in his father’s vineyard in Montecatini Alto, Tuscany. He founded Altos las Hormigas in 1995 with Alberto Antonini and has built the company from its foundations. Antonio has dedicated himself to all aspects of the industry, from production to sales and marketing, and has started a new project in Cahors, where Altos las Hormigas teams with local vintners to produce Malbec in the place of origin of the grape. Meet Antonio at Truth in Terroir. With more than 25 years’ experience in the international alcohol and beverage field, Jim Robertson is one of New Zealand’s most respected industry experts. As Global Wine Ambassador for Pernod Ricard Winemakers, Jim travels the world introducing consumers, media and trade customers to the New Zealand and Australian portfolio of Pernod Ricard Winemakers. Meet Jim at Decanter World Wine Awards.